I have often heard it spoken that the memories of one life travel into all others and shape the person we become, for all life is but one life merely fragmented. Thus, it is thought that whenever a soul is reborn to flesh, its path is already etched. This thought has always troubled me, for even the memories of this one life are too broad to contain and daily I lose more of myself to this plague of spirit and curse of flesh. I dare not sleep lest it all slip through my grasp and I should awake an empty shell. Such is my waking nightmare, and there is no escape from these thoughts. I can't help but feel like a candle that burns too hot and diminishes too rapidly. Yet, if that were true, then I would have long ago faded. More likely, I am the flame that burns too greedily and forever seeks new hearths that I might be able to consume. There are times that I think it is a lonely path that I travel, but it has been too long since I have known anything otherwise. I fear that I have grown too accustomed to the solitude that shields and imprisons me. 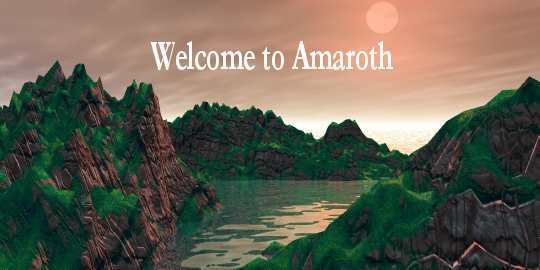 With that being said, welcome to Amaroth. I've had this little corner of the web for a long time and over the years it has gone through a lot of transformations and topic changes. Most recently (although not so recent anymore) I had designed it to serve as a webpage devoted to the craft of writing in order to fulfill my senior project requirement. Since then it remained mostly unchanged and rarely updated. But, lately I've been working on a story that's occupied much of my time, and so I figured I would create a website based on that and mostly for the purpose of a homepage and maybe a place to post a few selected short stories. If you know me, you probably already know that I'm hoping to become a published author eventually. Anyhow, I'm hoping to get this place working as the first complete website I've made in a long time. Perhaps I'll actually get around to making the links over to the left of the page work. Unless you came to this place by some strange method, there should be a list of links to the rest of the site over on the left portion of the screen. Stories will take you to, of course, some stories I'll be posting. Hell, if you have a story you'd like to post here for some weird reason (most likely if you know me) contact me about it. The myth section of the site will take you to pages that mainly list the background information on the world i created, and hence will help me keep everything straight as well. 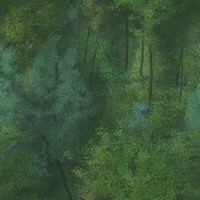 In the Art section I'll be posting some pictures I've drawn recently. I just found out I'm not totally horrible at sketching. Finally, the page devoted to the author will be, naturally, just a brief bio page for myself and well...whatever the hell i feel like posting. Only a few people get to see the novel in progress at the moment, mainly because if too many people see it, I won't feel the need to write it for others to read, lol. Anyhow, its my most ambitious project yet and has just broken the record for the most pages I've written at around 116pgs and 35,000 words. Seing as how only 6 chapters are realisitically complete of 28, there's still a lot to go.